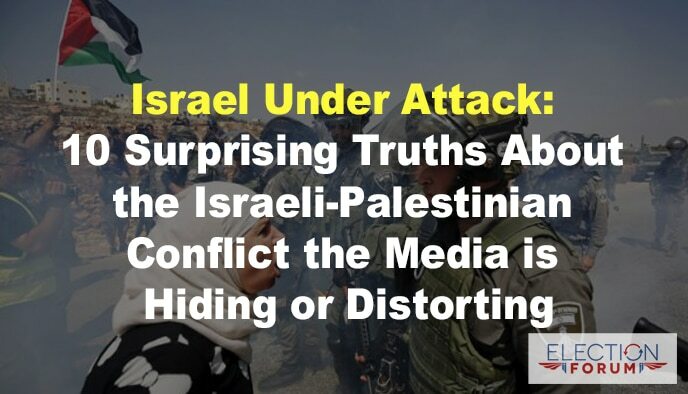 The progressive media, the UN, and many U.S. politicians are attacking Israel … as the Palestinians have escalated their all-out assault against the existence of the Jewish nation. There are vast differences between our western culture and the cultures of the Middle East and the Far East … and it’s important that we understand and respect those differences. If you want to understand the Israeli-Palestinian conflict, learn those differences. When you pray for the peace of Jerusalem, know those differences. The conflict between the Jews and the Arabs was predicted in the Old Testament book of Genesis. Abraham was the father of both Ishmael – the ancestor of the Arabs – and Isaac – the ancestor of the Jewish people. Isaac was the son God had promised to give Abraham and his wife Sarah in their old age … he was born when Abraham was 100 and Sarah was 90. This was a common practice in the Middle East in those days … if a man’s wife was barren. And they settled from Havilah to Shur [from the Arabian Peninsula to the northern part of the Sinai Peninsula] which is east of Egypt as one goes toward Assyria; he settled in defiance of all his relatives. The original “Palestinians” were people living in Judea – mostly Jews – during the reign of Roman Emperor Hadrian during the 2nd century AD. Hadrian came to power in 118 AD and allowed the Jewish people to return and rebuild their temple after it had been destroyed in 70 AD by Titus – son of Emperor Vespasian and commander of the Roman army. Hadrian later changed his mind – deciding instead to build a Roman city in Jerusalem named Aeolina Capitolina – and began deporting Jews to North Africa. A Jewish rebellion – led by Simon Bar Kokhba – began in 132 AD and lasted until 135 AD, when it was crushed by the Romans … at great cost of life on both sides. Before, during, and after the rebellion, many Jews fled to the Arabian Peninsula. The first Palestinian refugees were Jews who fled – or were deported – from Judea (Aeolia Capitolina) during and after the Bar Kokhba revolt – 132-135 AD. He renamed Judea and called it Palaestinia … from the root word Philistia – a reference to the Philistines, who originally came from ancient Greece. As Jews fled from Palestine to the Arabian Peninsula and to North Africa, they were replaced by Romans and by Philistines. Palestine didn’t become predominately Arab until after the fall of the Roman Empire. Jews began returning to Palestine after the Belfour Declaration in 1917. The Balfour Declaration was a public statement issued by the British government during World War I announcing support for the establishment of a “national home for the Jewish people” in Palestine. At the time, Palestine was part of the Ottoman Empire … and was about 90% Arab and only about 5% Jewish. After World War I ended, the League of Nations divided the defeated Ottoman Empire into entities called mandates … intended to lead to the creation of nation states. Britain accepted the mandate for Palestine. Both Jews and Arabs are living together in Palestine in peace. In 1947 the UN General Assembly passes a resolution to divide Palestine into Jewish and Arab states. The Jewish state was to receive 56.47% of the land … the Arab state 43.53 %. The Jews accepted the partitioning of Palestine … the Arabs did not. The Jewish state declared its independence on May 14, 1948 … the same day the British Mandate ended. Instead, Egypt, Syria, Iraq, Lebanon, Jordan and Saudi Arabia declared war of Israel, seeking to destroy it … and 650,000 to 750,000 Arabs living in Israeli territory fled to Jordan and Syria. The Arabs don’t want peace … they want the Jews dead. In 6 days the Israeli army defeated the Arab aggressors completely – a true miracle. How do you reach a peace agreement with people who have that attitude toward Israel? But a mob of 30,000 pushing through barricades and crossing the Gaza border into Israel – even if they aren’t carrying guns – is still a dangerous force intending to do harm. And the Palestinians use children as shields for their mass border crossings and their rocket launch sites. There has never been any other state in the region of Palestine other than the state of Israel. The Palestinians never talked about a Palestinian state when the West Bank was under Jordanian rule. They only started talking about wanting a Palestinian state when they came under Israeli rule. You see, the Palestinians don’t want a Two-State Solution to their conflict with Israel … they want Israel to cease to exist. Because they want to destroy the nation of Israel and drive the Israelis into the Mediterranean Sea. This is why some of the “protestors” in Gaza were shot by Israeli soldiers on May 14th during the Jerusalem Embassy opening ceremony. They illegally and violently crossed the border into Israel … inciting the soldiers to defend their nation’s border. These violent Hamas terrorists are the people the progressive politicians and media support and defend. Thank you for sharing this article. I will continue to learn more of the relationship between Israel and Palestinian. Craig – A good historical record! The thing that is not discussed is why does Israel have all these problens? Have you forgotten that we reap wbat we sow! You brought up Abraham (who tried to do God’s will his & creates Ishmael, a nation of tribes to trouble Israel until Jesus returns. Also, when the Israelites entered the Promized land, they didn’t obey Gid & destroy all the tribes, there God said they would trouble Israel all their days. Most of the Jews hated Jesus & His disciples & killed them. Messianic Jews & Christians are still persecuted there today. Oh yes, they like the tourists & the money from the West but if you live there it’s xifferent. God has called the Hebrews a stiff necked & rebellious people & God wanted to kill tbem. Aposte Paul warned that God will do the same to Christian & Jewish believers in the New Testament if they become rebellious after knowing the truth. Tbr Jews as a nation are not serving Christ; they still hate HIM. What’s a head for them is a German led Europe that will appear to bring peace but will then turn on them & the Great Tribulation will almost slaughter them all do to their sin. Zech 12-14 says Israel doesn’t repent until Jesus starts to physically return. Worse days are a head for them & Isaiah says God will use a evil pagan nation (Assyria-Germany) again to punish HIS people in tbe end times. That day is soon! Praying for the peace of Jerusalem is praying againt God’s end time plan, unless you are thinking of when Jesus returns, slaughters all tbe armies of the world & sets up God’s Kingdom on Earth (like it ir not) & establishs world peace. 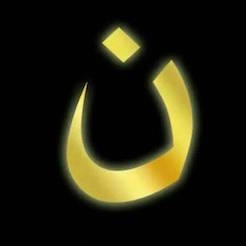 Don’t worry abiut America as it will get what it has done with the blood of the innoc & watch as Christian persecution is about to get real bad here & many if us will have the privilege to be persecuted & martyred. Hear the Word of the Lord! Thanks for the history lesson. Some things I knew, but some I did not. Rick, you are correct in that the Jews are declared to be less than stellar by The Lord. However, they are His people. If you have had a rebellious child, you know that while you may want to disown them, and need to chastise them, you are still there like the Father waiting for their repentance and to run into your arms. We once were lost, but now we’re found. Pray for that.